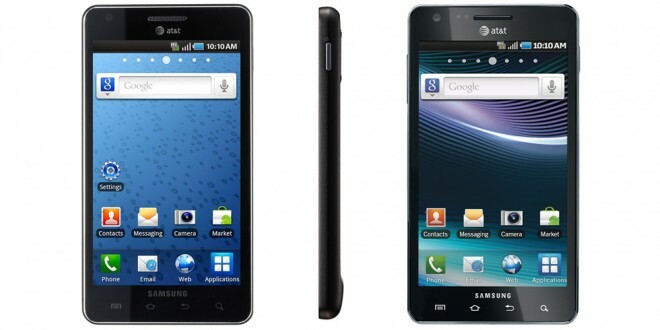 Just a day after announcing the miniature HP Veer webOS smart phone, AT&T held an event to unveil the ridiculously large Samsung Infuse 4G. Despite packing a 4.5 inch Super AMOLED screen to outdo even the HTC Thunderbolt and Motorola Droid X, this Android-powered handset is also the carrier’s thinnest phone at just 8.99 mm thick. The Infuse 4G first made an appearance a few months ago at CES 2011 earlier this year and will finally hit stores a little over a week from now. Although other Summer 2011 handsets such as the HTC EVO 3D pack a dual-core experience, it looks as though Samsung only provides a single 1.2 GHz processor. The Infuse 4G ships with the year-old Android 2.2 (Froyo), but I hope to see AT&T push to bring customers an update to Android 2.3 (Gingerbread) sooner than later. Google I/O 2011 is just a week away and we might see an even newer version of their operating system demoed at the event. “When you combine the powerful 1.2 GHz application processor with AT&T’s advanced 4G network, this device will truly be the fastest smartphone Samsung has ever created with AT&T,” said Omar Khan, chief technology officer & chief product officer for Samsung Mobile. 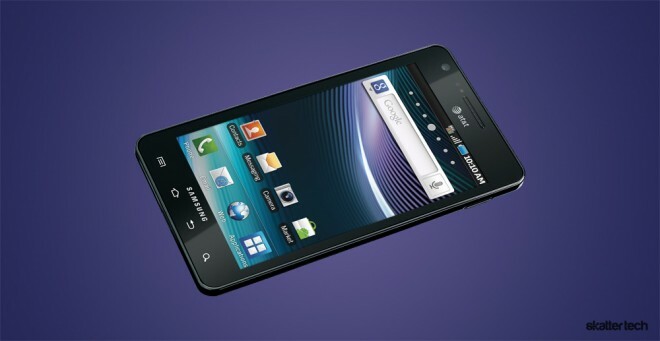 For photos and 720p HD video capture, this smart phone comes with an 8-megapixel camera. There is also another 1.3 megapixel camera on the front for video calls using services such as Qik or Tango. I’m confident that the recently launched Google Talk with video will make its way to the Infuse 4G too. There is no word on internal storage, but AT&T will ship a 2 GB microSD in the packaging and customers can upgrade to a 32 GB card if needed. Fans of Angry Birds will be glad to hear that the game comes pre-loaded on the Infuse 4G. Samsung will also provide access to their Movie Hub for on-demand video content and the first half-million purchases will ship with a $25 voucher. While Motorola Atrix customers had to temporarily deal with slow 4G network speeds until an update, AT&T will hopefully work with Samsung to provide a fast HSPA+ experience out of the box. Those looking to buy a Infuse 4G can do so on May 15th for $199 with a new two-year contract. Unlike Verizon Wireless, customers can opt for a more-affordable $15 per month data plan bringing the reoccurring monthly fees down to as little as $55. We will try to get our hands on a device for a full review, so stay tuned for more details. There goes the iPhone 4’s “thinnest smartphone ever” tagline.